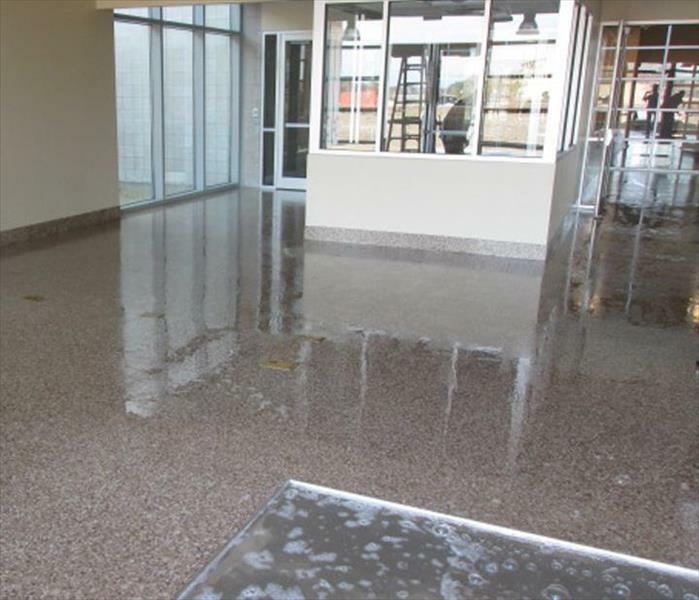 The stormwater rushed into the lobby of this commercial building in Pulaski and left some silt and contaminated water. 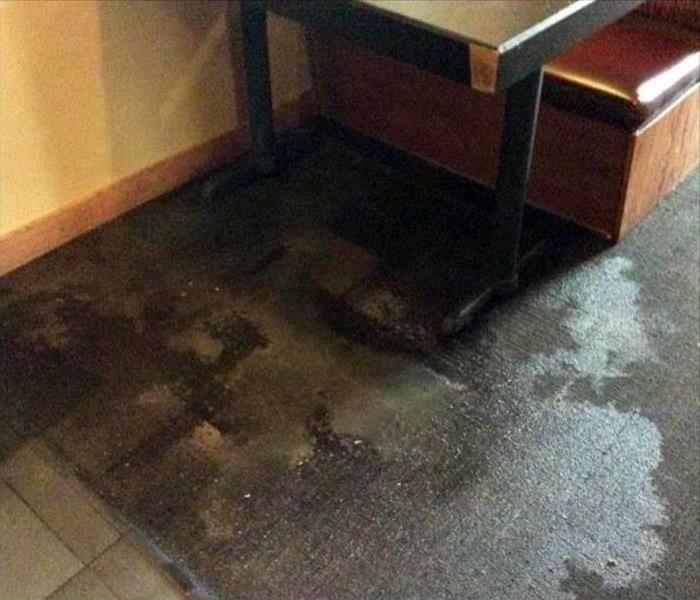 SERVPRO techs can show up fast, squeegee and vacuum out the Black Water, and then clean and disinfect the hard surface for a sanitary conclusion to the job. We do it right. 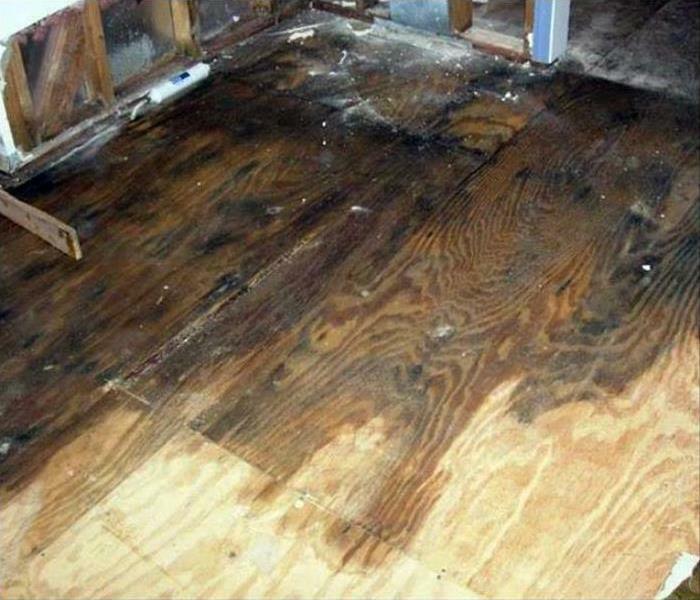 Water damage at this Columbia home found its way to the hardwood flooring. Water that seeps through the cracks between the planks is often undetectable to the naked eye, but the presence of the moisture can be detected with hi-tech detection equipment. SERVPRO of Maury / Giles Counties takes advantage of this technology to serve our customers. Water can be vacuumed out of a Pulaski room by SERVPRO techs. 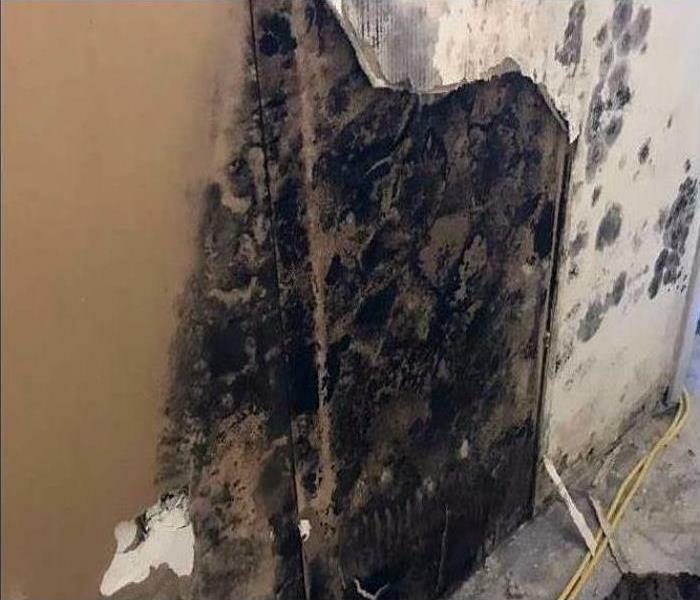 The crucial drying stage, to preserve the property and prevent mold growth, is the next step. When an array of air movers and a large LGR dehumidifier, with the furniture on small foam blocks to prevent rusting, the area will soon be dried to standard levels. 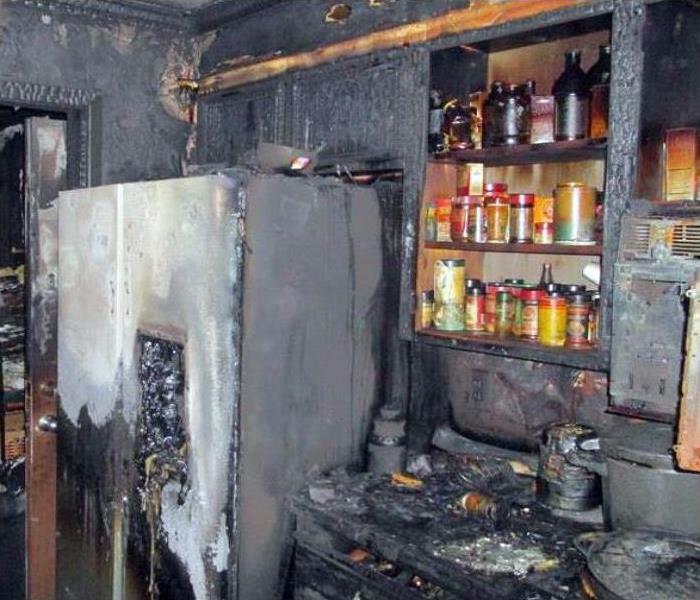 Fire damage in the kitchen of this Columbia home began with a grease fire on the stovetop. 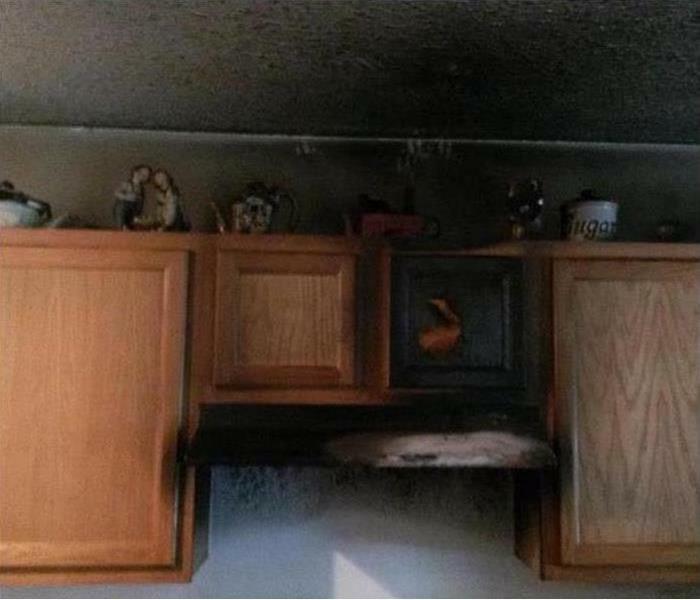 Fortunately, the homeowners smelled the fire from an adjacent room and were able to extinguish the fire quickly. However, grease fires burn very hotly which creates a lot of soot and smoke damage. The photo shows how much damage would need to be cleaned. SERVPRO of Maury / Giles Counties is well equipped to provide the service necessary at this residence. Damage caused by a roof leak during a storm in the Spring Hill can result in significant cleanup and restoration. 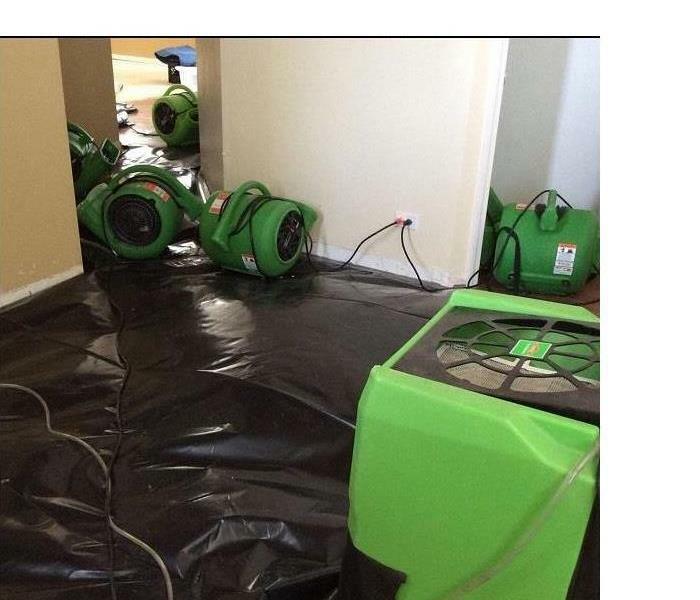 Our SERVPRO crew can utilize a large array of equipment and machinery to get the job done efficiently to mitigate the water damage. Plenty of air movers and dehumidifiers are always available to expedite the treatment. 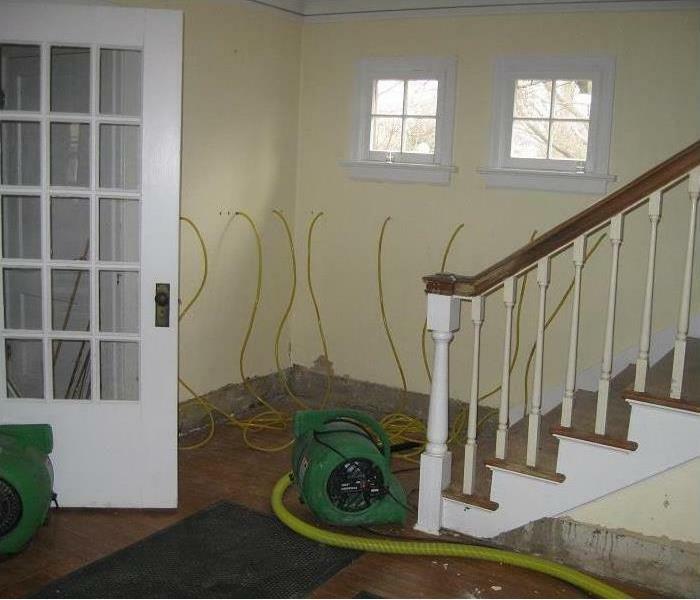 When a company like SERVPRO assesses the on-going water damage to hardwood floors in the Spring Hill area, you can be assured that cutting-edge technology and methods come into play. Our skilled technicians can "Tent" the floor to more swiftly extract the moisture and increase the chances of salvaging the hardwood boards. 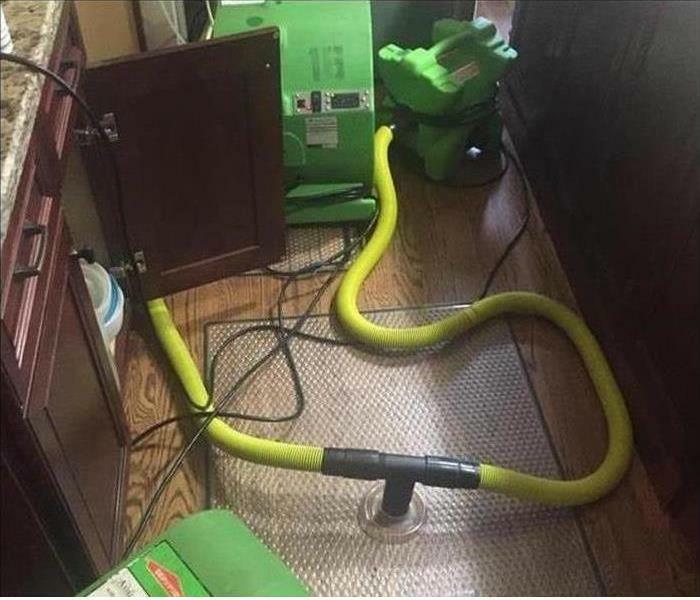 That is Why SERVPRO is a wise choice. SERVPRO techs have the tools like this injectidry system and the training to mitigate water damage to Columbia homes. No need to tear out walls, increase expenses and inconveniences. Count on us to do you right. Don't let water bring you down our team is here to help! Whether your property in Pulaski is a hotel, small office building, restaurant, or large retail store we can handle any size disaster. 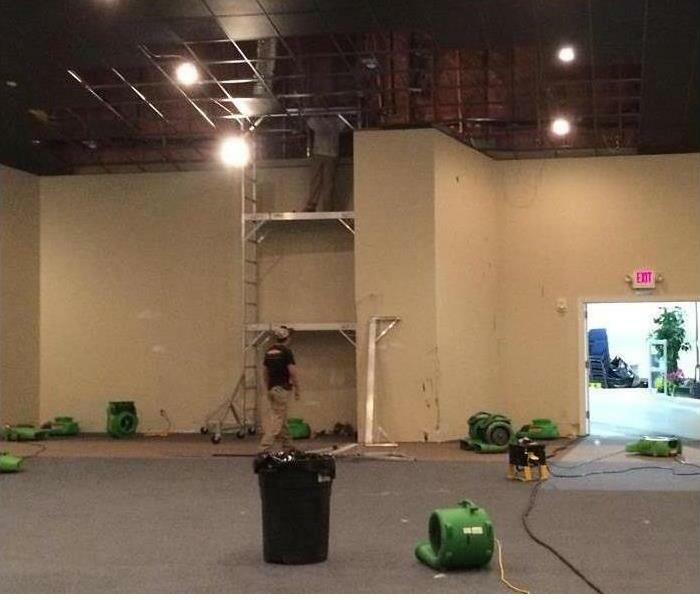 SERVPRO of Maury / Giles Counties has the experience, advanced equipment, and specialized training to restore your commercial property to pre-damage condition. A torn roof in the Spring Hill area can soak the ceiling panels with the stormwater that entered. 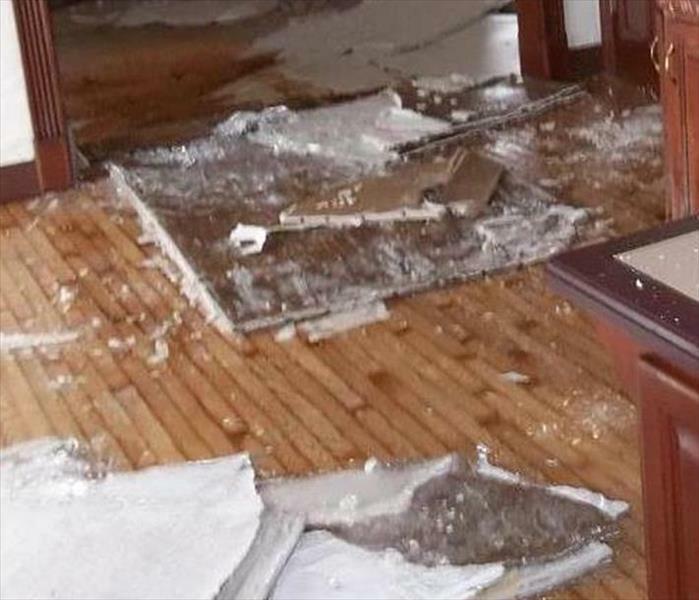 This potentially hazardous situation can be quickly brought under control with a call to SERVPRO. We're Faster To Any Size Disaster, arriving and deploying water extraction and drying equipment promptly. SERVPRO of Maury / Giles Counties is the team to call when you discover a significant mold infestation in your home. We have the mold damage experience and advanced equipment to restore your home to pre-damage condition. 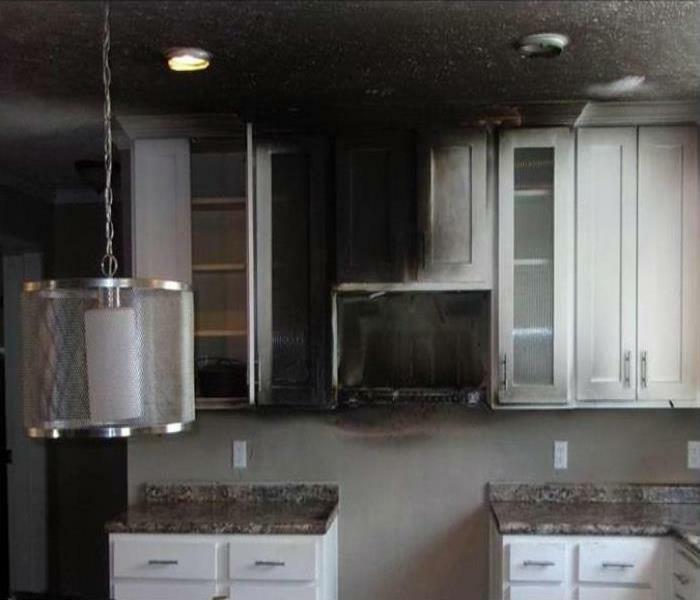 Our highly skilled and IICRC certified crew is the best in the restoration industry. We’re Faster to Any Size Disaster! A fire ignited in an attic crawl space in Columbia can devastate a home. The visuals dictate the need for extensive cleanup of fire-damaged debris. 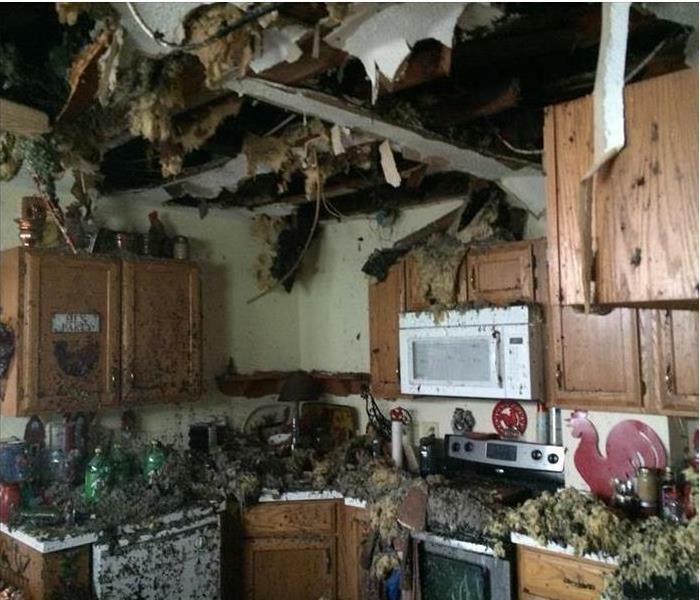 SERVPRO FSRT fire & smoke technicians understand the need to act swiftly to mitigate the losses for our customer. We are here to help our neighbors.